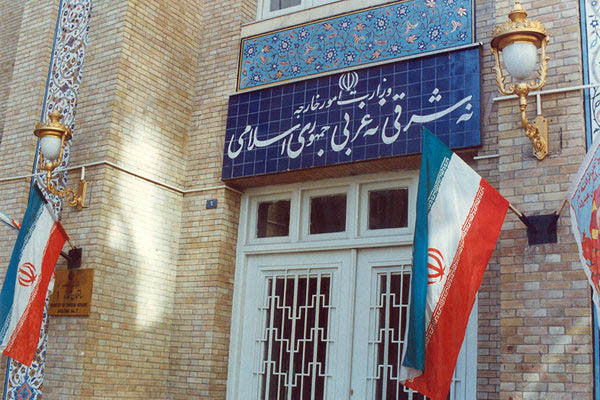 Seyyed Hossein Sadat Meidani, the head of the Iranian Foreign Ministry’s secretariat in charge of following up on the implementation of the JCPOA, summoned Philippe Thiebaud on Sunday to protest against tweets attributed to France’s envoy to the United States. The Iranian official also called for the French government’s explanation, and stated that if the French government endorses the remarks, and if they represent the official position of Paris, this would be in obvious contradiction to the goals and provisions of the Iran nuclear deal. In turn, the French ambassador to Tehran said he was not aware of the tweets attributed to his country’s ambassador to Washington, but he would immediately report the issue to Paris. He also underlined the French government’s political will to fully implement the Joint Comprehensive Plan of Action. Iran summoned Thiebaud after the French ambassador to Washington posted a tweet about Iran’s nuclear program after 2025, which was in direct contradiction to the text of the 2015 nuclear deal between Tehran and world powers. While the International Atomic Energy Agency (IAEA) has in 14 reports confirmed Iran’s full compliance with the nuclear deal, the French ambassador to the United States claimed that there is no reason for Iran to enrich uranium after the end of this agreement. Gérard Araud’s remarks led to the reaction of Iran’s Deputy Foreign Minister Seyyed Abbas Araqchi. Araud said Saturday that “As we said in 2002 that enriching uranium without a credible civilian program was illegal under the NPT, we’ll be able to react likewise in 2025 if necessary. Sanctions were imposed. Sanctions could be reimposed. There is no “sunset” after the JCPOA”. “It’s false to say that at the expiration of the JCPOA, Iran will be allowed to enriching uranium. Under the NPT and its additional protocol, it will have to prove, under strict monitoring, that its nuclear activities are civilian,” Araud added. Following Iran’s strong reaction, Araud deleted the tweets on Sunday afternoon.